Sexual Assault affects more Australians than many of us realise. If you have been sexually assaulted, you are not alone. 1 in 5 women and 1 in 20 men have experienced sexual violence since the age of 15 years (Australian Bureau of Statistics (2006) Personal Safety Survey). Perhaps one of the most surprising and unfortunate findings of the Personal Safety Survey is that most acts of sexual violence are committed by someone known, rather than a stranger. This can make an already traumatic experience so much more painful and stressful as it invades our homes, our work or our social lives. Coming forward to report sexual assault, or even just seeking support, can be difficult; but you are not alone and you are not without help. If you have experienced sexual assault or know someone who has, you need to know that there is support available which is private, completely confidential and there to help you. We can offer several services in a supportive and comfortable environment. Sexual health screening for sexually transmitted infections (STIs) is also offered. A range of STI tests are available and we can provide most treatments. We also ensure you get the appropriate counselling and support. We refer to the Sexual Assault Response Team at both Redcliffe and Caboolture, and can provide some initial support ourselves if you are unsure of what to do next. You can even feel free to just come down and chat to Nurse Sue if you prefer, there are no obligations. 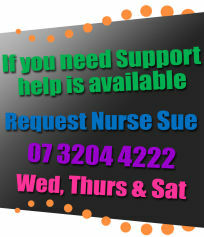 To access our services simply contact reception on 07 3204 4222 and request an appointment with Nurse Sue. We can have you booked in for the next available appointment. The consultation is bulk billable for Medicare Card holders and a standard visit will last 20 minutes rather than the regular 10 minutes with a GP. You are free to request more time if you desire. What is a sexual health check?